Whatever you do, don’t invite an historian to lunch. They’ll ruin your meal with their endless disputes about stuff no one else cares about. In this case, it’s the definition of American fundamentalism that has us in a tizzy. Why is it so problematic? These days, as SAGLRROILYBYGTH are sick of hearing, I’m just about finished with my book manuscript about conservative evangelical higher education. In the book, I’m arguing that colleges, universities, seminaries, and Bible institutes did more than most institutions to define evangelicalism. And I’m offering a new definition that will probably get me disinvited to more lunches. It’s not as straightforward a question as you might think. Back in the 1930s, the first academic history of Protestant fundamentalists—Stewart G. Cole’s History of Fundamentalism—defined fundamentalism as a “cult;” a blight on American society led by “disturbed men” who suffered from a “psychotic condition.” Ouch. Soon, leading religious historian H. Richard Niebuhr (the famous theologian’s brother) gave academics a definition that was less vicious, but offered the same basic outlines. Fundamentalism, Niebuhr wrote, was a hillbilly affair, surely destined to wither in the sunshine of modernity. In 1954, another academic history of fundamentalism suggested a similar explanation. Norman Furniss’ book The Fundamentalist Controversy assumed that fundamentalism meant a lack of knowledge about modern life, a head-in-the-sand stupidity. These early definitions of fundamentalism were so far removed from reality that it was only a matter of time before a new generation of historians threw them out. Just as a 1960s class of historians from non-elite backgrounds offered new and better histories of minority ethnic groups and working classes, so too did historians from evangelical backgrounds redefine their own tradition. Most influential, Ernest Sandeen argued that fundamentalism was best understood as the modern rebirth of an old evangelical theological tradition, premillennialism. George Marsden counter-argued. Yes, premillennialism was vital to fundamentalism, but it was not enough. In his 1980 book Fundamentalism and American Culture, Marsden lay out the definition of fundamentalism that most nerds still use today. What is fundamentalism? Marsden noted that we need to include revivalism, premillennial theology, common-sense philosophy, and a vague but vital political and cultural conservatism. In the past few years, ambitious historians have re-opened the case. Matthew Sutton, for example, fresh off his blockbuster academic hit Aimee Semple McPherson, took on the challenge of defining American fundamentalism. Yes, fundamentalism is a blend of influences, Sutton argued in American Apocalypse, but it’s not just a jumble. If we want to understand fundamentalism, Sutton insisted, we need to understand that the defining feature of the radical evangelical experience has been its fixation with the end times. Sutton isn’t alone in wondering what it has meant to be fundamentalist. Kathryn Lofton has pointed out (sorry, subscription required) that fundamentalists and their arch theological enemies were both “commonly modern.” Brendan Pietsch has demonstrated that one of the signature methods of fundamentalist Bible-reading—the dispensational lens—is a profoundly modern approach. Most compelling, from my point of view, has been Timothy E.W. Gloege’s definition. Like me, Gloege focused on evangelical higher education, in his case, the earlier history of the Moody Bible Institute. From that lens, it seems clear that it will always be self-defeating to offer any simple theological definition to fundamentalism. Why? In short, fundamentalism worked as a set of goals, not a system of doctrine. Fundamentalism was a kind of least-common-denominator coalition, not a list of beliefs or a systematized theological vision. Fundamentalists, Gloege argues, were united by their dream of creating a new, modern sort of orthodoxy, laid out on the model of the modern corporate business organization. But that approach left fundamentalists dangling when it came to traditional orthodoxy. They did not and would not mimic traditional denominational orthodoxies by agreeing on a systematic theology, because they were never willing to compete with denominations. At the same time, however, most fundamentalists valued and venerated the idea of a traditional Christian orthodoxy. At the Moody Bible Institute, at least. I’m still tweaking my argument, so you’ll have to wait until Fundamentalist U comes out to see the deets. (It will be soon, I promise.) It seems clear to me, though, that if we really want to understand the history of American fundamentalism and evangelicalism we will have to ditch our impulse to copy the theological creeds offered time and again by fundamentalists themselves. What do we do with people like J. Gresham Machen, the breakaway Princeton Calvinist who said he was and wasn’t a fundamentalist? What sense can we make of a fundamentalism that never agreed with itself on what fundamentalism required? For example, Bob Jones College forced its students to participate in dramatic plays, while Wheaton College banned such things. How can we step in and say one was right? What IS the theology of fundamentalism? Calvinism? Yes. Arminian revivalism? Yes. Dispensational premillennialism? Yes. Amillennialism or postmillennialism? Yes. It’s tempting to wade into these disputes with a hindsight definition. We might want to say Professor Machen was not a fundamentalist, but rather a Calvinist, or a creedal conservative, or a denominational conservative. All those are also true, but they sidestep the central difficulty that Machen was considered a fundamentalist during the peak of the 1920s controversies, including by himself. We might want to say that fundamentalism was one core belief, fringed by an accumulation of disputed ideas. If we do that, we can say that both Bob Jones College and Wheaton were fundamentalist, but they disagreed on some non-essential details. That’s a smart approach, but it avoids the main problem—both sides insisted that their positions on student drama were CENTRAL to their fundamentalist identity. We might try to say that one theology represented real fundamentalism, while others only thought they were fundamentalist. Those others weren’t real fundamentalist theologies; they were confused. But this mistakes the central fact that both dispensationalists and non-dispensationalists worked together and considered themselves fundamentalists. Except when they didn’t. It ignores the fact that Calvinists, revivalists, and lots of others all taught at fundamentalist schools. Maybe not happily, but loosely united in their self-image as fundamentalists. Usually. In short, there’s no way to untie this knot, definitionally. Instead, we need to cut it; we need to take a different approach to understanding fundamentalism. At least, that’s what I’m arguing in the book. And it’s not easy. It takes me about 128,000 words to make my case. See? This is why I don’t get to leave the house much. Not many people find this kind of thing as interesting as full-time historians. I remember reading the novels. I read them in the gym of the high school I taught in. Sometimes students would ask me about them, and I’d say they were about the end of the world. But I also sometimes wondered if people would think I was a fundamentalist, an end-of-the-worlder, a kook. Now that the new movie is out, friend of ILYBYGTH Daniel Silliman has offered a thoughtful essay about what it means to be a fan of Left Behind. For those of you who haven’t heard, the Left Behind series blew a lot of minds when it came out in the 1990s. Fundamentalist writer Tim LaHaye and his colleague Jerry Jenkins set out to present another gripping fictional story of the end of the world. But not just any end of the world. Left Behind told the story of the way many American fundamentalists have come to interpret the Bible’s eschatology. Clarence Larkin’s theological charts were very popular among the first generation of fundamentalists in the 1920s. Since around the beginning of the twentieth century, many (but by no means all!) fundamentalists and conservative evangelicals have embraced the theology of dispensational premillennialism. This interpretation of the Bible sets out a series of ages, or “dispensations.” Our current Age is set to expire sometime soon. When it does, this theology predicts, Jesus will lift all true believers to meet him “in the air.” This event will be known as the “rapture.” After the rapture, those who have been left behind will suffer through seven years of tribulation before Jesus returns in glory. Once Jesus and his angelic hosts have defeated the Antichrist on the field of Armageddon, a thousand years of peace and love will follow on earth, the millennium. That’s a quick and dirty summary, but for our purposes, it will do. Tim LaHaye was not the first prophecy writer to fictionalize this story. As many evangelicals of a certain age will remember, an older generation of films such as A Thief in the Night told a similar story, in a similarly dramatic fashion. But LaHaye’s Left Behind series took this Bible apocalypse into the mainstream. Millions of people read the books. And evangelical sorta-star Kirk Cameron made a series of movies to bring the message to even more fans. And now, for some reason, there’s a new movie version, this time starring Nicholas Cage. For nerds like me, the interesting question is not whether the new film is good or bad. (Although I couldn’t find a single review that said it was good. Just bad, really bad, and “God-awful.”) Instead, I want to know what it can tell us about American religion. Specifically, I want to know why so many people gobble up these fundamentalist bedtime stories. Is America really that sympathetic to fundamentalism? Does some part of our national psyche still yearn for this sort of stern hellfire morality play? Daniel Silliman tackles this question of audience. Take a few minutes to read his whole essay. In short, he demonstrates that we can’t really assume much about America based on its seeming never-ending appetite for Biblical apocalypses. Just because millions of people read these books, we can’t assume we know if those readers bought into the fundamentalist end-of-the-world story. Some people, Silliman notes, will watch this movie ironically. That is, they will rush out to see the movie to see just how silly those Christians will get this time around. Like the infamous Snakes on a Plane, many movies become popular because of their badness. But Silliman also gives some examples of people who seem to embrace the film precisely because they embrace the theological message. Just because the story seems outrageous to me doesn’t mean that other viewers are not watching it with very different attitudes. In other words, we must be careful about assuming too much from this film. If it flops, we will not be able to say that America has turned its back on fundamentalist theology. And if it’s a huge box-office success, we won’t be able to say that America is still a fundamentalist fief. Ask Kirk Cameron. One of the most compelling parts of a Biblical worldview is its clear explanation of the future. And that future isn’t too rosy, at least for those outside of the charmed circle of Biblical Christianity. How are those of us outside this circle to understand this prophetic tradition? We might start by trying to understand the ways some conservative Protestants read the Bible. After all, if one believes in an inerrant Bible, one is encouraged to interpret its words in the most obvious sense. The dangers, in this tradition of Bible interpretation, come when readers exalt their own understanding higher than the words of Scripture. And the most obvious interpretation of some Biblical books, such as Daniel and Revelation, is that they are prophecies of what is to come. Through a few quirks of history—though, of course, no Bible Christian would likely consider them accidental—one interpretation of these prophecies has come to exert an outsized influence on conservative evangelical Protestant belief in 20th­­- and 21st-century America. This interpretation, burdened with the cumbersome name “dispensational premillennialism,” has become the dominant form of understanding Bible prophecy among the subset of evangelicals who call themselves small-f fundamentalists. For those like me–outside of this tradition but trying to understand it–it is well worth our time to read some of the terrific academic histories out there. The late Paul Boyer, of my alma mater, wrote a wonderful introduction to prophecy belief for outsiders. Writing from closer to the tradition, Timothy Weber also offered a great guide to the history of this theology. George Marsden also included a helpful introduction in his now-classic history of fundamentalism and American culture. However, none of these terrific academic studies has reached the kind of audience that the prophecies themselves have claimed. 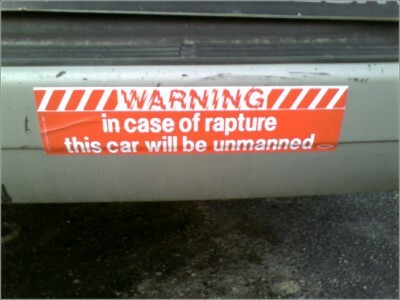 Just as the Bible’s continuing popularity must tell us something about the nature of popular religious belief in Fundamentalist America, so the popularity of rapture theology must hold some lessons. In 1970, Hal Lindsey authored a runaway bestseller explaining this interpretation of the end days. The Late Great Planet Earth sold millions of copies. The book explained the themes of dispensational premillennial theology in an engaging and convincing way. Lindsey and co-author Carole Carlson mapped the predictions of Daniel and Revelation onto world events of the 1970s. As had generations of prophecy writers before him, Lindsey insisted that the world was entering the last days described to John in his Revelation. A generation later, Tim LaHaye and Jerry Jenkins repeated this feat with their Left Behind series. Beginning in the late 1990s, this fictionalized apocalypse told the story of end times, as understood by dispensational premillennialists. The series sold millions of copies, and soon spun off an empire of related products, including a kids’ version and the movie starring Kirk Cameron. What does the wild popularity of these books and their apocalyptic messages tell us about Fundamentalist America? One danger would be to assume that all of the millions of readers embraced the theology of rapture and Biblical apocalypse. It seems unlikely that all the readers of these books included themselves in the roll of Bible believers. Just as the popularity of Harry Potter does not imply an increase in the belief in magic, so the popularity of these books does not necessarily mean a huge bump in belief in this apocalyptic tradition. Nevertheless, conservative evangelical Protestants since the 1920s have argued for the importance of this particular way of understanding the Bible. These books helped cement that understanding in the popular imagination. For many readers, whether or not they buy into the entire theology, The Late Great Planet Earth and the Left Behind books tell THE Biblical story of the last days, not just one interpretation. For those of us hoping to understand the nature of Fundamentalist America, the books are worth reading. As long as we avoid the trap of thinking that these books are the last word in what conservative religious people really think, this vision of the nature of reality can go a long way to decoding some traditional shibboleths of the Fundamentalist tradition, such as the dangers of the United Nations and the importance of a strong Israel. In each case, the politics of today and tomorrow have been explained thousands of years in advance. As Revelation explains, the Antichrist will appear as the savior of humanity. He will unite nations into one humanitarian global government. All will appear obviously to the good. For dispensational premillennialists, this prophecy provides fodder for an unyielding campaign against internationalism. In the United States, this tradition has fueled an intense animosity toward organizations such as the League of Nations and the United Nations. Again, we must not assume too much. Not every conservative anti-internationalist has based his or her opposition on Biblical prophecy. But among those who do, that opposition takes on more weight than simple policy considerations. The fight against internationalization becomes, for some Bible believers, a literal cosmic battle of Good vs. Evil. Understanding those roots will guide us in understanding the sometimes-puzzling international policies of some religious conservatives. As reporter Buck Williams of the Left Behind series might explain, doubt and skepticism must end with the Rapture. After that, the only option left for a dedicated Tribulation Force is to fight tooth and nail against the scheming Evil of Carpathia and His Global Community. Hal Lindsey and C.C. Carlson, The Late Great Planet Earth (Grand Rapids, MI: Zondervan, 1970). For most kinds of conservative Protestants, it is difficult to overestimate the importance of the Bible in theology and culture. After all, at the heart of the Protestant Reformation was a call to return Christianity to reliance on Scripture, Faith, and Grace. For outsiders trying to understand this segment of Fundamentalist America, a good starting point is an attempt to wrap our heads around a Biblical worldview. As historian Timothy Weber argued in the early 1980s, one tradition of conservative evangelical Protestantism has long confronted a decisive Biblical dilemma. In the early twentieth century, this self-identified “fundamentalist” group wrestled with this stubborn paradox: the Bible must be assumed to be clear and comprehensible to all readers, yet readers must be guarded against naïve misinterpretation. In the end, Weber argued, the first generation of fundamentalist Bible teachers “fought hard to keep the Bible accessible to ordinary believers but in the end made them nearly totally dependent on themselves” (117). Let me be as clear as possible: in these discussions we are not talking about the wider cultural traditionalist “Fundamentalist America” that usually fills these pages. Instead, we’re focusing now on a small but influential subset of conservative evangelical Protestants, those few who fit the definition of small-f Protestant fundamentalism. In the early twentieth century, this group rallied around a particular sort of Biblical interpretation. Though not without dissent and voluble disagreement, a theology of dispensational premillennialism became for many conservative evangelical Protestants the only proper interpretation of the Bible’s message. This post will attempt to introduce outsiders to this theology. As with every topic in the kaleidoscopic world of Fundamentalist America, this introduction will include some broad-brush oversimplifications. Especially important to remember is that this theology, like every theology or ideology, is constantly changing and subject to intense criticism and disagreement. Outsiders should never allow themselves to relax into a false sense of self-satisfaction when it comes to understanding such notions. We at ILYBYGTH write with full consciousness of our inadequate theological background and apologize for our stuttering and awkward presentation of these ideas. However, with the broad-brush caveat in mind, we can lay out a few basic facts about dispensational premillennialism. The theology came to the United States in the late 1800s, introduced by theologian John Nelson Darby. Darby found that he could not convert many American evangelicals to his Plymouth Brethren sect, but his theology became surprisingly influential. The answer, for Augustine as for Darby and subsequent generations of Christians, is that sacred history has been divided into discrete dispensations. For American Protestant fundamentalists, this understanding of the Bible has been taught assiduously for generations. In the first generation, Bible and prophecy scholars such as James M. Gray of the Moody Bible Institute, A.T. Pierson, I.M. Haldeman, and Arno Gaebelein taught readers how to understand the divisions in sacred history. Another prominent dispensational interpreter and popularizer was Clarence Larkin of Philadelphia. Larkin’s dispensational charts laid out this theology for students of dispensational premillennialism. The second half of this term, “premillennialism,” also has a long and storied history among Christians. Christians traditionally fell into several interpretations of the second coming of the Christ. Premillennialism, the notion that Christ will return to save a fallen world and usher in a thousand years of earthly peace and justice, remained popular for generations in the early church. By the third century AD, however, mainstream Christianity welcomed a variety of interpretations of the millennium. Postmillennialism became influential in American Protestantism throughout the nineteenth century. In this reading, Christ would return at the end of a thousand years of earthly peace. Darby’s theology introduced a new wrinkle into these traditional disputes. Based on his interpretation of 1 Thessalonians 4:14-18,* Darby argued for a secret rapture of all true believers at the start of the end-times. For many conservative evangelicals, this notion of a secret rapture has become the standard interpretation of the last days. And, again, it is vital to remember that these ideas are the subject of intense dispute. Schools of futurists, historicists, amillennialists, and many others insist on their own vision of the apocalypse. For those of us trying to understand Fundamentalist America, simply understanding the basic outlines of dispensational premillennial theology will help. Believers in this vision of Bible truth will see history and politics as primarily an unfolding of Bible prophecy. The future, in this theology, is written and clear to all those who rightly divide the word of truth. As historian Dwight Wilson argued in the 1970s, premillennial belief has had a decisive influence on American foreign policy for generations. Candidates for the important role of the Antichrist have included Franklin D. Roosevelt, Mussolini, Hitler, and a succession of Roman Catholic Popes. Central in every interpretation, however, is the decisive role of the state of Israel and the world’s Jews. Those who view world politics and history through this lens will likely be difficult for outsiders to understand. They will certainly be less likely to agree to pragmatic solutions or a two-state solution to the Palestinian/Israeli dispute, for instance, since they believe they have read the ending of this story in advance. For such Bible believers, political activism is not intended to procure half a loaf. Rather, the goal is to line up on the right side and to watch as prophecy unfolds. Thus, returning Jews to Israel is an important part of divinely dictated history, but returning Palestinians to that same land is not. Signing on to the program of a charismatic UN leader might mean condemning innocent souls to hell, not merely wasting aid dollars. In sum, though it is important not to fall for scare stories about the power of Bible prophecy in determining US foreign policy, it is also important to understand the theological roots of some of fundamentalism’s most distinctive ideas. Further Reading: Timothy P. Weber, “The Two-Edged Sword: The Fundamentalist Use of the Bible,” 101-120, in Nathan O. Hatch and Mark A. Noll, eds., The Bible in America: Essays in Cultural History (New York: Oxford University Press, 1982); see also Weber’s Living in the Shadow of the Second Coming: American Premillennialism, 1875-1982 (Chicago: University of Chicago Press, 1987) and Ernest R. Sandeen, The Roots of Fundamentalism: British and American Millenarianism, 1800-1930 (Chicago: University of Chicago Press, 1970); Dwight Wilson, Armageddon Now! The Premillenarian Response to Russia and Israel since 1917 (Berkeley: University of California Press, 1975). Now available from Oxford University Press! Available now from Harvard University Press. Why are we STILL fighting about evolution? Available now from University of Chicago Press! Teachers! Surprised at the recalcitrance of administrators? Don’t be: the first generation of public-school administrators tried to force their teachers to work without pay. The lesson from the archives at History News Network. What’s wrong with dunking on D’Souza? Lessons from the history of creationism at History News Network. The CCCU might not like to admit it, but Liberty University is fulfilling their oldest, fondest dreams. My piece at HNN. Why would conservative Liberty University invite liberal Jimmy Carter to give its commencement speech this year? My two cents at The Conversation. Fundamentalist U: “An invaluable introduction to the esoteric world of Christian higher education.” So says John Compton in the Los Angeles Review of Books. Why should YOU care about evangelical higher education? Listen to an author interview at Phoenix’s KJZZ to hear my answer. Why Fundamentalist U? See the author interview at Inside Higher Ed. Bastions of Trumpism? Or citadels of lefty evangelicalism? How about both? At Religion Dispatches, I make the case that evangelical colleges have always had a complicated relationship to political conservatism. Is Trump fulfilling conservative dreams? Not exactly. See my piece at Newsweek. Cedarville University demands purity in its classrooms. Is this something new or just the newest version of something old? I make my case at Righting America at the Creation Museum. Do you need to read TECN? Read Professor Amy Lark’s review in American Biology Teacher to find out…. 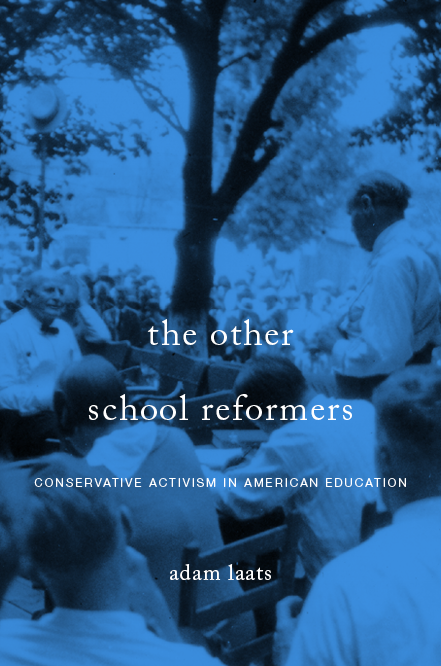 Why should progressives study conservative school reformers? Read Dr. Andrew Petto’s review of The Other School Reformers to find out!